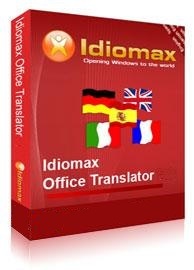 Then you're ready for IdiomaX Office Translator 7.0. Once you have downloaded and begun using this comprehensive Office Translator software, your colleagues, boss, family and friends will marvel at your newfound confidence and language proficiency. You'll discover that it actually can be fun and not a chore to learn new languages like Italian, Spanish, French and German... and to have instant translation of words, sentences and whole documents right at your fingertips. Imagine how it will change your work life, your communications with friends far away, and your ability to meet new people!